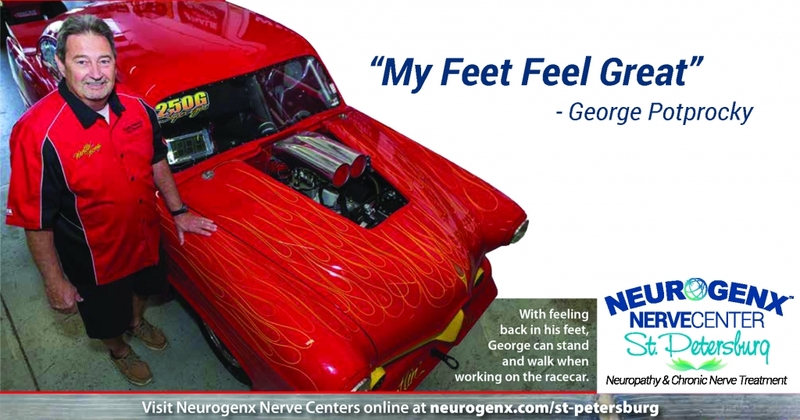 The Spring edition of the Pinellas Health Care News a special article about Neurogenx patient George Potprocky, a career firefighter who retired to Florida. 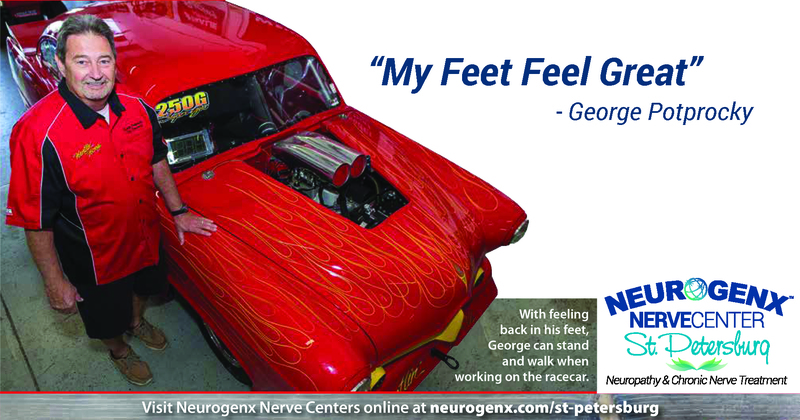 George had suffered for some time with a burning needle sensation in his feet that progressed to numbness. Congratulations, George! We’re glad we could help! 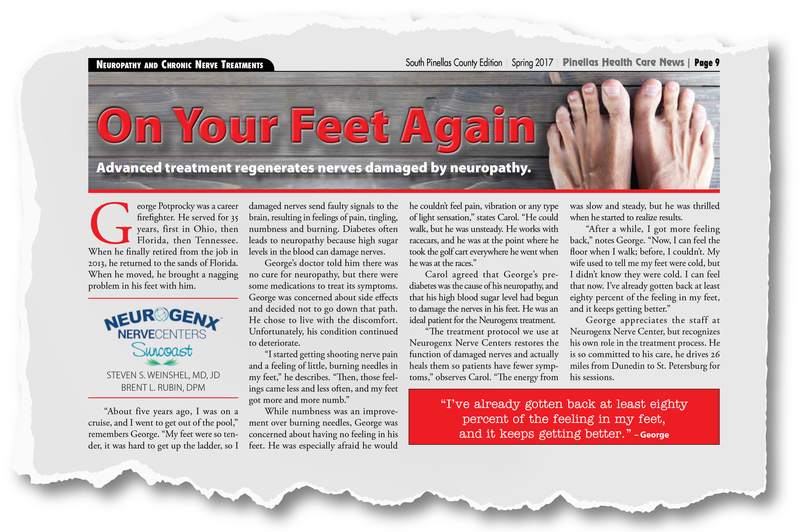 Hello from Neurogenx NerveCenter Suncoast!